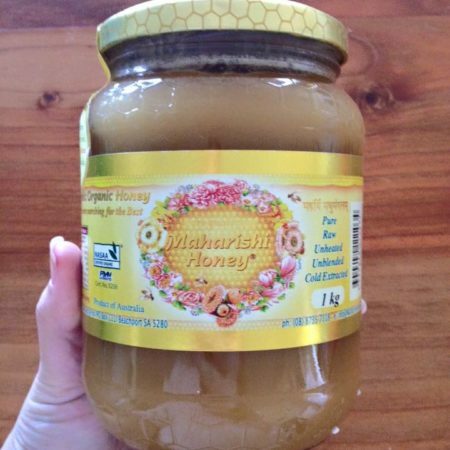 Maharishi Organic honey is from Alcheringa Biodynamic dairy farm just 15 minutes from our farm. The honey is certified Organic, Raw, Pure and Cold Extracted. The hives are shut down during Winter to keep the bees healthy during the cold weather. The honey is harvested approximately every 2-3 months in the warmer months. Each harvest is unique. 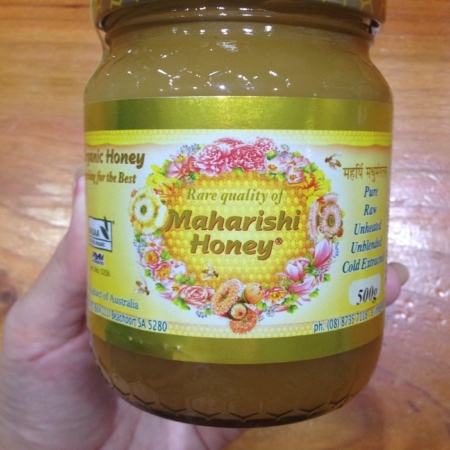 This honey has very high antibacterial qualities and also a wide array of vitamins and minerals. It is fantastic for hay fever and other illnesses. At the farm we use it on the cattle when they get Pink Eye. 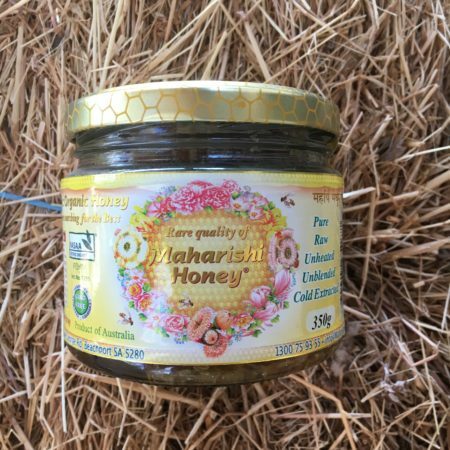 Maharishi Organic honey is also brilliant for cuts and burns. 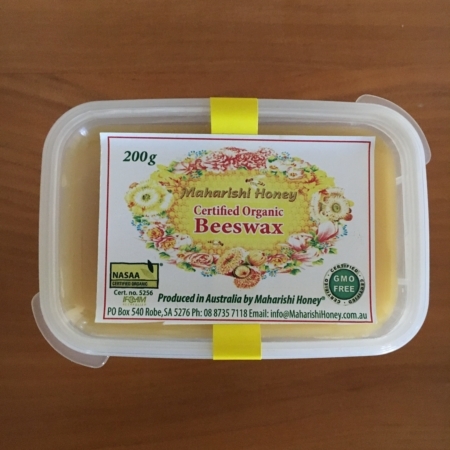 We also stock Maharishi certified Organic Beeswax. Beeswax is a much needed ingredient to make your own lotions and skin care products. The beeswax smells amazing and also makes a great furniture polish.